I first created this DIY Silhouette Nativity in 2012, but still love it in 2018! It is probably my most favorite Christmas project! I know so many of you have made your own nativity set too. 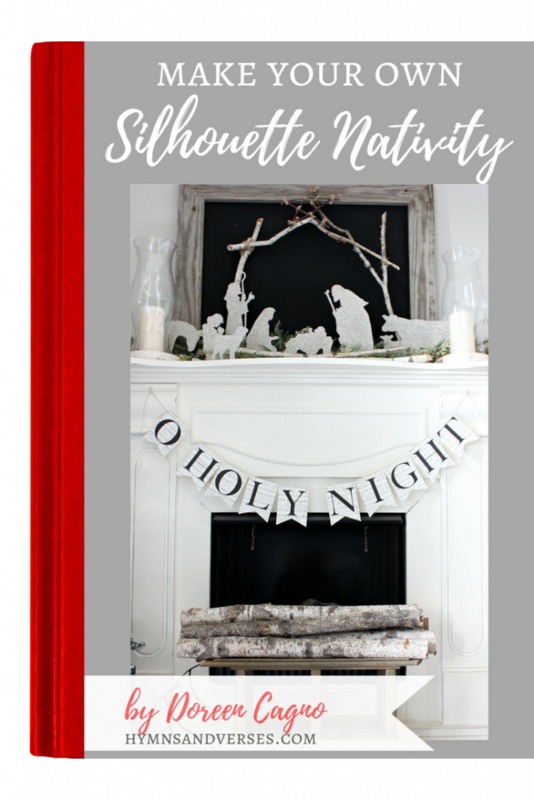 Because of the popularity, I’ve created an ebook that includes all of the nativity templates, the “O Holy Night” music sheet banner templates, and detailed instructions – all in one easy to print package! The Make Your Own Silhouette Nativity includes all of the templates I used and a few extras. 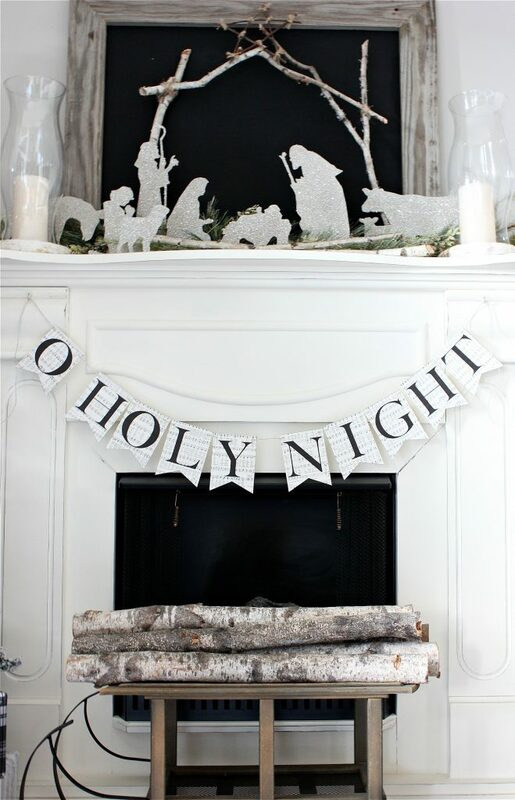 It also includes the O Holy Night banner with the music background in printable form. There have been others who have copied this idea, but mine is the original you’ve seen on Pinterest – created by me in 2012. I also show you how I made the birch branch stable in the eBook. I take you step-by-step to make your own unique stable out of branches. 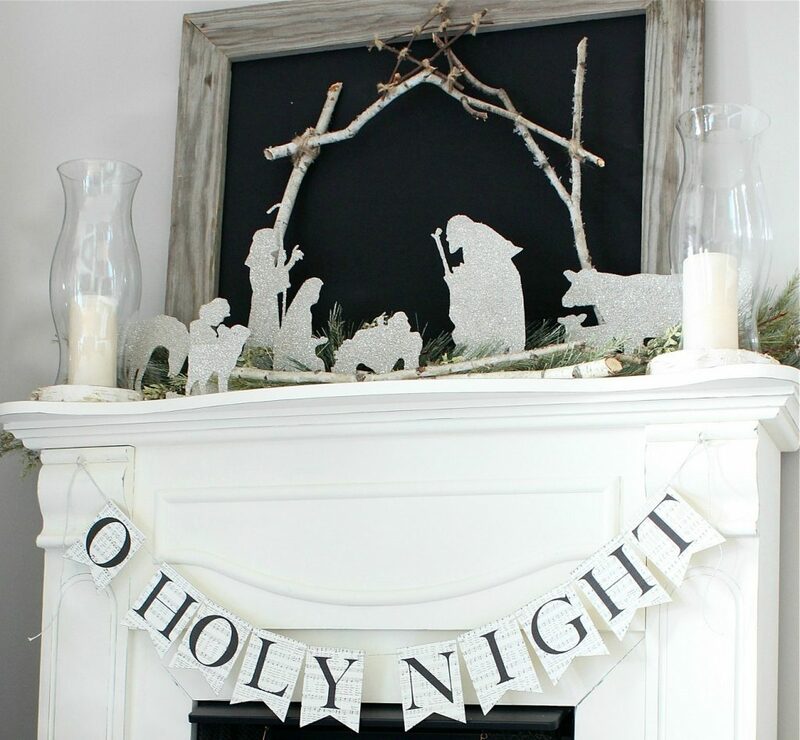 This is a low cost DIY project that makes a big statement and tells the real meaning of Christmas. This would be such a fun project to do with your children too. Children can trace the silhouette template, cut along the line they drew, spread glue over the image, and sprinkle with glitter — supervised of course! With the nativity on display in your home, it’s a great way to redirect your kids to what Christmas is really all about! If you are more of a minimalist decorating and aren’t into the sparkle of the glitter, why not make the nativity out of thin sheets of balsa wood that you can get at your local craft store! I think that would be amazing and I may even make a set like that this year for my own home! I’ve kept the cost low and affordable for the Make Your Own Silhouette Nativity eBook at just $5. 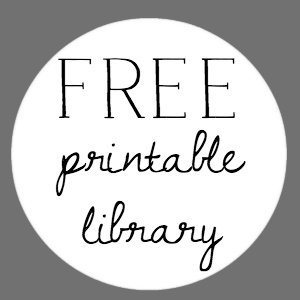 Just click the image below to purchase your copy of this eBook. 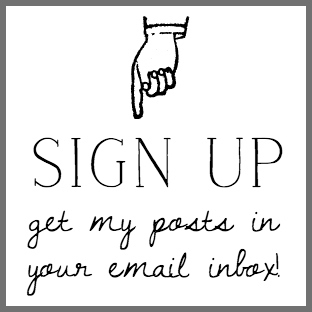 After you complete the purchase, you’ll receive the eBook in your email inbox! 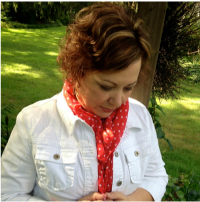 Thank you so much for helping to support my blog through the purchase of this eBook! If you have any questions, please don’t hesitate to contact me! I just ordered this and am looking forward to making this for part of my Christmas 2018 mantle. I can only hope it turns out as beautiful as yours. I’m not very crafty! Thanks so very much! I’d love it if you’d send a picture of it to me so I can feature it on my social media!!! Hi! Will this work on a cricut maker? Thank you! I’m not familiar with the maker, but if you can trace an image, then it should work fine!